Are you getting the wrong information for best facts about agriculture instead of using the best resources for how your food is produced ? Let me ask you another question. Do you ever wonder why agriculture is so important? Why do we need it? The importance of agriculture in every day life is a topic of controversy these days. I see it blatantly in social media comments after certain pictures or advertisements about agricultural products. Some people really don’t care about or even know why agriculture exists. Why? Because the vast majority of the population is so removed from the farm that they don’t really know what happens there. In fact, less than 1% of the United States population is involved in agriculture. This means that those “less than 1%” are growing the majority of the food to feed the rest of the nation! And the sad thing is this: Those who don’t understand agriculture begin to question many agricultural practices they might be reading on blogs or social media. They wonder why we even need agriculture in the first place? 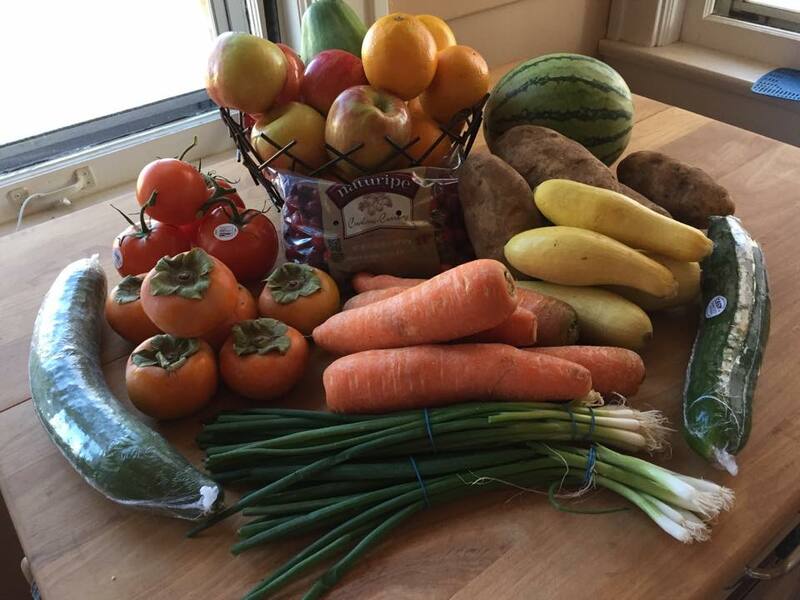 “Why not just buy food from the grocery store like normal humans,” some ask? Worse…They began to question the scientific facts of practices and a farm family’s way of life. As an agricultural scientist and a farmer myself, I feel called to answer some of these questions. But I often feel like some of these people who are removed from the farm don’t really want to listen to or hear science based answers. Because it just doesn’t occur to them…that without all types of agriculture agriculture…they would not eat. Want to know more about the rural way of life? Subscribe to the Rural Women Inspired Podcast! Well, in this article, you will find links galore for the top quality resources for agriculture today. 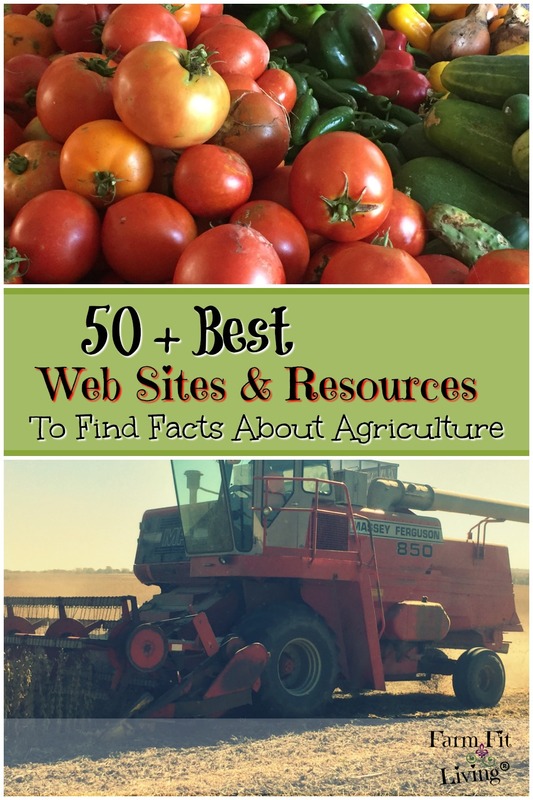 These web sites and local resources come highly recommended as great quality information resources for topics in agriculture. I even list some blogs at the end! Just a few of the best ones I feel use research based facts to educate their audience about the importance of agriculture in every day life. But, first here are the top reasons agriculture is so important to our future society. Here’s why you should be caring about GOOD INFORMATION in agriculture – The industry that grows the food you eat. Why should you care about getting accurate and best facts about agriculture? Let’s look at what is at stake here. The world population is growing while the amount of land for agriculture is decreasing. Rural communities depend on the agriculture industry for growth. The need for bi products in the self care products we use every day are increasing. These products include: Lotions, Makeup and Cleaning products. Therefore, you should be caring about the need for good quality and science-based facts about agriculture. Sustainable agriculture practices. New technology that promotes increases yields that will feed and clothe this growing population. Farmers, including myself, are learning each and every day how to do more with less. There are plenty of agriculture courses and new learning about different types of agricultural practices available to help farmers learn new skills to improve the land and the products they produce. And I know that many people who aren’t involved in agriculture do care about these very things. Here’s the problem: I’ve mentioned before that there are many unreliable resources online to receive information. See, there’s this thing called SEO (Search Engine Optimization) that prevent many of the best information sources about agriculture to be pushed off of page one on Google. Therefore, when most people are searching for something, such as GMO’s, a very unreliable and biased source might pop up first. You know the ones I’m talking about. The articles and sites full of fear mongering that say “farmers pump their animals full of hormones to help them reproduce” or “GMO’s cause more deaths per year than you can count.” Neither of these quoted statements are true – that’s just my sarcastic examples of the overblown crap I see on page one of Google sometimes. It’s just not right. And that bad information is what most people will read. I see it all the time and I’ve been guilty of it myself. Because I did not know any better than to just scroll by. I want to make sure that people are getting the RIGHT information on certain facts about agriculture food and natural resources. So, I’ve compiled a list of great resources that are science-based and factual for you to refer to based upon the current issues in agriculture that everyone is searching for online. One thing you need to know before you read anything more is that I am for ALL agriculture. I am for organic agriculture. I’m for conventional agriculture and I’m for sustainable agriculture. I am also pro-technology, therefore pro-GMO. I’m pro antibiotics to prevent abortions in my meat goat herd. I am pro-science and research and I keep in close contact with my veterinarian. In a nut shell…I’m for the type of agriculture that works for YOU as long as you are producing the BEST quality product you can produce. With that said, I believe all industries need to work together to meet upcoming challenges. We can all work together if we understand each other. I’m here today to give you the entities that have completed the research and hold unbiased opinions about certain topics. So, here’s a list of other pro-agriculture SCIENCE-BASED United States agriculture facts and resources you should be looking at before forming an opinion about anything more. Start by cutting out the bull. If you search Google for many of these facts about agriculture, unreliable sources will pop up. Why? Again, because of SEO. So, you need to be looking at the right educational sources. So, the sources I list below are dubbed as science based and educational by the agricultural industry. Enjoy and keep close track of them! If there are any you want to add to the list, just leave me a comment and I will consider the add. This grouping includes statistics for agriculture. United States Department of Agriculture – Here are some Statistics by State. Washington Department of Agriculture – Same as above. DISCLAIMER: Each state has a Department of Agriculture. Simply Google search (yourstate Department of Agriculture) and it will pop right up. Kids are the next generation of our population. They need to know about how their food is produced. Unfortunately, many schools are not including much ag science into their curriculum. So, here are some good resources for you with kids agriculture activities to take the next step towards promoting agriculture in the class room. Again, your state may have some great programs for teaching agriculture to kids. Just do some asking around. And look below for some local resources for interesting facts about agriculture and farm facts for kids. Rick McNary – A fellow Kansan, great photographer and hunger advocate. Jim Richardson via National Geographic Magazine – Jim is an awesome soil photographer for National Geographic with some excellent ideas about how to feed the 9 billion. USDA NRCS – Locate your local county or regional office! Greenhouse Gas Protocol – How to measure, manage and report greenhouse gas emissions. Extension.Org – A vast list of resources is at the bottom of the page. Farm Management Resources from Iowa State University. Ag Manager from Kansas State University. Any of your state’s Land Grant Universities may have a resource listing like the three listed above. Contact your Extension Service for more information. Ag Inspirations – Kim Bremmer is a great speaker as well! Chuck & Cindy Zimmerman of Zimm Comm cover and release the latest happenings in agriculture. Check out what they’ve covered so far and join their email list to keep up with them. 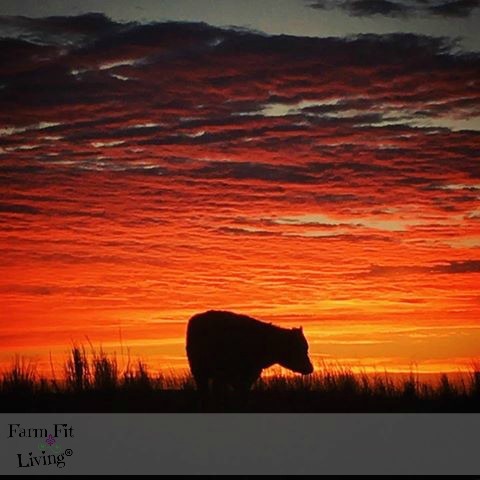 RFD TV – The best television channel out there for farming and ag information. I mention above to cut out the bull crap you may read. If you want to know the truth about agriculture, you need to go to the source. I’ve listed many excellent sources above, but here are some blogs I think are just extraordinary and educational in their field. I should also note that the people behind these 8 blogs and platforms are scientists, farmers and experts in their own rite. These are the people you should be checking out FIRST for agriculture information. Agriculture Proud – Ryan Goodman is a wealth of knowledge. His blog and podcast are entertaining but full of good information. Peterson Farm Brothers – Greg, Nathan, Kendall and their family are fellow Kansas farmers. Be sure to check them out on YouTube as well. 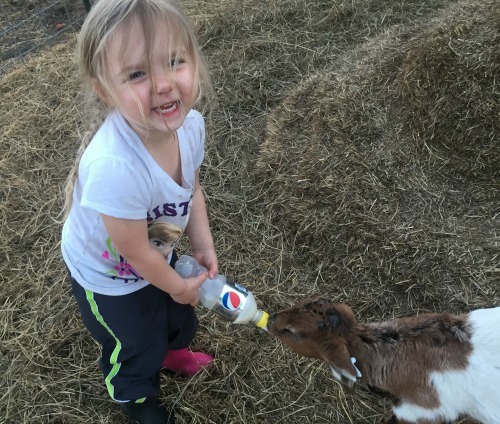 Dairy Carrie – Dairy Farmer Carrie answers real questions all the time. And she tells it how it is. That’s what I love about her. Ag on the Fore Front – Kelsey Pope is a rancher and fellow K-State grad. 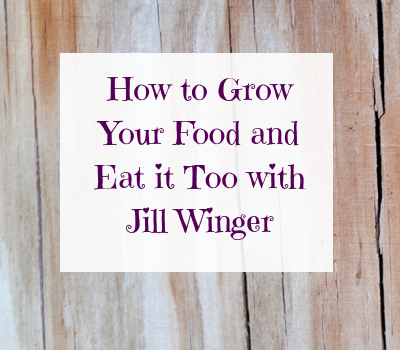 She has a great resource page on her blog that you should be checking out. CommonGround – A GREAT group of volunteers who know how to have difficult conversations about food and agriculture. Corn Commentary – The blog of the National Corn Growers and all things corn farming. The Farmer’s Daughter USA – Amanda is a practicing attorney with a love and knowledge for agriculture. Prairie Californian – Jenny has a lot of great information about specific crops as well as beautiful photography. Ya’ll, there are so many more great blogs out there. If you start with these blogs, you’ll find links to those other great blogs out in the blogosphere because ag and rural people like to support each other. But what if you’re tired of looking online and just want some word of mouth answers? Here are some of those resources for you. There’s still another way to get your agriculture news today. And it’s called coffee shop talk. Or gas station talk. Or whatever the place may be. Your town has that place where the local farmers gather in the mornings for coffee. Or even on lunch breaks. That’s where you can hear great information about current agriculture topics and get some good questions answered. So, how do you find that place? Well, it’s not that hard. Ask around. They’d love to have you join them. Show up for coffee in the morning. Oh – And donuts! Just listen to them at first to get a feel for the group. Then start asking questions. Even if you live in an urban area right now, you have these entities nearby. You have these great resources to answer your questions. So, just ask away because knowing the right information about major issues in agriculture today is important for communities everywhere. Why is agriculture important to all society? Example – If you used hand lotion today, you used a sheep bi product! If you ate a mini marshmallow or jello jiggler today, you ate a beef bi product. And if you would just stop and look around you, you’ll see that your community (rural or urban) is powered by agriculture. Food comes from farms. It is grown in gardens. The grocery store, farmers markets and curb side trucks are just places and ways farmers market their home grown products. And if you want to learn more about agriculture, I strongly suggest the list of 50 + states I’ve listed above. Please don’t use web sites built upon emotion or money. Use web sites and sources based upon research. Based upon knowledge and skill. Gain your knowledge from the people who are actually IN AGRICULTURE and not just wannabe’s who “think they know.” Or worse…a web site who wants to spread fear to you because their agenda is to make agriculture go away forever. Therefore, when you’re looking for information in your local area, use local resources to find out the best way. Those few factors can play a huge role in how agricultural practices work in your area. I hope you gained some new knowledge about resources for facts about agriculture! Are there any good resources for best facts about agriculture you could add to this list to make it even stronger? I’d love to hear your go-to resources for information for agriculture and best facts about agriculture. If you want to let me know your thoughts about why agriculture is so important to society, please leave me a comment or shoot me an email!